Sleep disorders are a fairly common problem. 8-15% of the adult population of the entire globe make frequent complaints about poor sleep, and 9-11% use various sleeping pills. And this figure among the elderly is much higher. Sleep disorders occur at any age and for each age category are characterized by their types of violations. So bed-wetting, sleeping and nighttime fears occur in childhood, and pathological drowsiness or insomnia is more characteristic of the elderly. There are also such violations of sleep that begin in childhood accompany a person all his life, for example, narcolepsy. Insomnia - insomnia, disturbances in the process of falling asleep and sleeping. Symptoms of sleep disorders are varied and depend on the type of disorder. But whatever the disturbance of sleep, in a short period of time it can lead to a change in the emotional state, mindfulness and working capacity of a person. Children of school age have problems with study, the ability to absorb new material is declining. It happens that the patient turns to the doctor with complaints of poor health, not suspecting that it is associated with a violation of sleep. Psychosomatic insomnia. Insomnia is considered situational if it lasts no more than 3 weeks. People with insomnia do not sleep well, often wake up in the middle of the night and can not fall asleep. Characteristic earlier morning awakening, a sense of lack of sleep after sleep. As a result, irritability, emotional instability, chronic overfatigue occur. The situation is complicated by the fact that patients are experiencing because of sleep disturbances and anxiously waiting for the night. Time spent without sleep during night awakenings, it seems to them 2 times longer. As a rule, situational insomnia is caused by the emotional state of a person under the influence of certain psychological factors. Often, after the termination of the stress factor, sleep normalizes. However, in some cases, the difficulties of falling asleep and nightly awakenings become familiar, and the fear of insomnia only exacerbates the situation, which leads to the development of constant insomnia. Insomnia caused by taking alcohol or medication. Long continued use of alcoholic drinks leads to disturbances in the organization of sleep. The phase of fast sleep is shortened and the patient often wakes up at night. After stopping alcohol intake, usually within 2 weeks of sleep disturbance pass. Sleep disorders can be a side effect of drugs that excite the nervous system. Long-term use of sedatives and hypnotics can also lead to insomnia. Over time, the effect of the drug decreases, and increasing the dose leads to a short-term improvement in the situation. As a result, sleep disorders can worsen, despite the increase in dosage. In such cases, frequent short-term awakenings and the disappearance of a clear boundary between the phases of sleep. Insomnia with mental illness is characterized by a constant sense of intense anxiety at night, a very sensitive and shallow sleep, frequent awakenings, daytime apathy and fatigue. The syndrome of sleep apnea or sleep apnea is a short-term cessation of air flow into the upper respiratory tract, which occurs during sleep. Such a pause in breathing can be accompanied by snoring or motor anxiety. There are obstructive apneas that occur as a result of closure of the lumen of the upper respiratory tract by inhalation, and central apnea associated with disruption of the respiratory center. Insomnia with restless legs syndrome develops due to the sensation arising in the depth of the calf muscles, which requires making the legs move. An uncontrollable desire to move legs occurs before going to bed and passes during movement or walking, but then it can happen again. In some cases, sleep disturbances occur because of involuntary, repetitive, bending movements in the leg, foot, or thumb in the dream. Usually the bending lasts 2 seconds and repeats in half a minute. Sleep disorders in narcolepsy are characterized by sudden paroxysms of falling asleep during the day. They are short and can arise during a trip in transport, after meals, during monotonous work, and sometimes in the process of active work. In addition, narcolepsy is accompanied by attacks of cataplexy - a sharp loss of muscle tone, because of which the patient may even fall. Most often the attack occurs during a pronounced emotional reaction (anger, laughter, fright, surprise). Disturbance of sleep and wakefulness. Sleep disorders associated with changing the time zone ("reactive phase shift") or the shift work schedule are adaptive and pass through 2-3 days. The syndrome of the delayed period of a dream is characterized by impossibility to fall asleep at certain hours necessary for a normal mode of work and rest on working days. As a rule, patients with such a disturbance of sleep fall asleep at 2 am or closer to the morning. However, on weekends or during holidays, when there is no need in the regime, patients do not notice any problems with sleep. The syndrome of premature sleep rarely gives rise to a doctor. Patients quickly fall asleep and sleep well, but they wake up too early and, in the evening, go to bed early. Such sleep disorders often occur in people of age and usually do not give them much discomfort. The syndrome of a non-24-hour cycle of sleep and wakefulness consists in the impossibility for the patient to live according to the schedule of 24-hour days. The biological days of such patients often include 25-27 hours. These disorders of sleep occur in people with personality changes and in the blind. The most common method of studying sleep disorders is polysomnography. This examination is conducted by a somnologist in a special laboratory where the patient should spend the night. During his sleep, many sensors simultaneously record the bioelectric activity of the brain (EEG), cardiac activity (ECG), respiratory movements of the chest and anterior abdominal wall, inhaled and exhaled airflow, oxygen saturation of the blood, etc. A video recording of what is happening in the ward and constant monitoring on duty doctor. Such a survey makes it possible to study the state of brain activity and the functioning of the main body systems during each of the five stages of sleep, to identify abnormalities and to find the cause of sleep disturbance. Another method of diagnosing sleep disorders is to investigate the average sleep latency (SLE). It is used to identify the cause of drowsiness and plays an important role in the diagnosis of narcolepsy. The study consists of five attempts to fall asleep, which are carried out during waking hours. Each attempt lasts 20 minutes, the interval between attempts is 2 hours. The average latency of sleep is the time that the patient needed to sleep. If it is more than 10 minutes, then this is the norm, from 10 to 5 minutes - borderline value, less than 5 minutes - pathological drowsiness. Treatment of sleep disorders, appointed by a neurologist, depends on the cause of their occurrence. If this is a physical pathology, then therapy should be directed to the underlying disease. Reducing the depth of sleep and its duration, occurring in old age, is natural and often requires only an explanatory conversation with the patient. Before resorting to the treatment of sleep disorders with sleeping pills, you should follow the general rules of healthy sleep: do not go to bed in a nervous or angry state, do not eat before going to bed, do not drink alcohol, coffee or strong tea for the night, do not sleep in day time, exercise regularly, but do not exercise at night, keep clean in the bedroom. Patients with sleep disorders are useful to go to bed and wake up every day at the same time. If you can not fall asleep within 30-40 minutes, you have to get up and do things until you have a desire to sleep. You can introduce every evening calming procedures: a walk or a warm bath. Coping with sleep disorders is often helped by psychotherapy, various relaxing techniques. 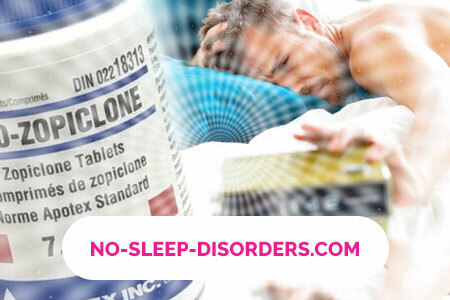 As a drug for sleep disorders, benzodiazepine drugs are often used. Preparations with a short duration of action - triazolam and midazolam prescribed for violations of the process of falling asleep. But with their admission, there are often side reactions: agitation, amnesia, confusion, as well as violation of morning sleep. Sleeping drugs with long-acting diazepam, flurazepam, chlordiazepoxide are used in early morning or frequent nocturnal awakenings. However, they often cause daytime sleepiness. In such cases, prescribe medications for the average time of action - zopiclone and zolpidem. These drugs are characterized by a lower risk of dependence or tolerance. Another group of drugs used in sleep disorders are antidepressants: amitriptyline, mianserin, doxepin. They do not lead to addiction, are shown to patients aged, patients with depressive conditions or suffering from chronic pain syndrome. But a large number of side effects limit their use. 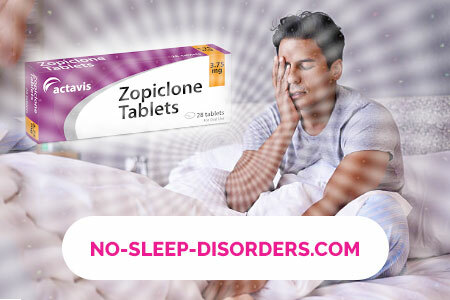 In severe cases of sleep disorders and in the absence of the result of the use of other drugs, patients with confused consciousness use neuroleptics with a sedative effect: levomepromazine, promethazine, chlorprotixen. In cases of pathological somnolence, mild stimulants of the central nervous system are prescribed: glutamine and ascorbic acid, calcium preparations. At the expressed disturbances - psychotonic: iproniazid, imipramine. Treatment of sleep rhythm disturbances in elderly patients is carried out in a complex combination of vasodilator drugs (nicotinic acid, papaverine, bendazole, vinpocetine), CNS stimulants and light tranquilizers of plant origin (valerian, motherwort). Admission of hypnotic drugs can be carried out only on the prescription of a doctor and under his supervision. After the end of the course of treatment, it is necessary to gradually reduce the dose of the drug and carefully reduce it to zero. As a rule, various sleep disorders are cured. Difficulties are the therapy of sleep disorders caused by chronic physical illness or occurring in old age. Compliance with sleep and wakefulness, normal physical and mental stress, proper use of drugs that affect the central nervous system (alcohol, tranquilizers, sedatives, hypnotics) - all this serves to prevent sleep disorders. Prevention of hypersomnia consists in preventing craniocerebral trauma and neuroinfection, which can lead to excessive drowsiness.